Two search kits designed to aid the search of cars, buildings and vessels. 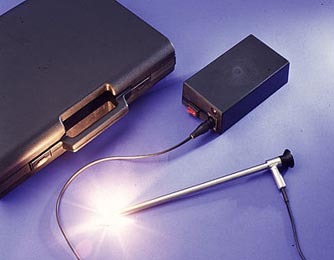 Both portable, and come packed in foam lined fitted cases and include a fixed side viewing endoscope. Illuminated by a powerful 10 W halogen lamp. Both come complete with a 12V 2.3 Ah rechargeable power pack and battery charger. Both kits arrive ready to use with spare lamps.